Explore the serene, surreal and scenic corners of the world... but watch your step. 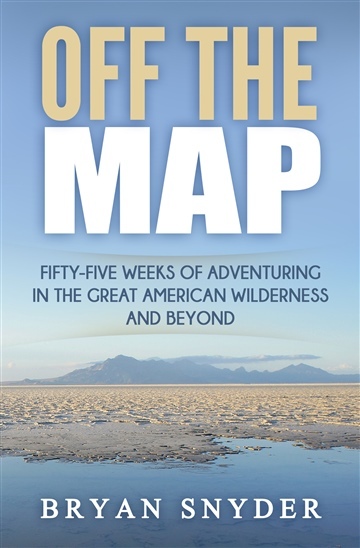 Off The Map is a collection of fifty-five outdoor adventures that take place along the rougher and more precarious edges of our country's natural splendor. Within these stories, the author engages in ill-advised confrontations with the bears of Montana's Bob Marshall Wilderness, the mosquitoes of Yellowstone, and the voracious marmots of the San Juan Mountains. 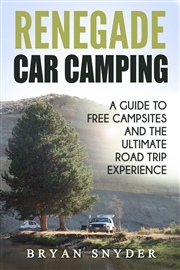 Driven by an unhealthy obsession with cliffs and mountaintops, the author also ventures into such serene and surreal landscapes as the redrock ravines of Utah, the abandoned gold mines of Colorado, the icefields of Iceland, the volcanic peaks of the Cascades, the depths of the Grand Canyon, and the lightning-scarred summits of the Southern Rockies. If you enjoy tales of haunted hotels and hot springs, hypothermia and heat exhaustion, as well as snapshots of the most scenic locations this continent has to offer, Off The Map will satisfy your inquisitive and adventurous spirit. Add it to your library today and start your journey! From the author of Renegade Car Camping: A Guide to Free Campsites and the Ultimate Road Trip Experience. Originally printed in New York's Evening Sun newspaper and collected here for the first time.